With a targeted marketing campaign and an enhanced program schedule, organizers expect a two-fold attendee increase for 6th edition in San Luis Obispo, CA. Estes Park, CO – The US Trail Running Conference announces a new mission statement and strategic plans for the 2018 event. The sixth annual US Trail Running Conference takes place August 29-31, 2018, and is presented by the City of San Luis Obispo, CA, and Race Roster, the fastest growing endurance registration website in North America. The Conference is also held in partnership with the American Trail Running Association, and Race SLO. Strategic plans for the 2018 conference have resulted from the clarity and direction that the new mission statement provides. Wednesday, August 29 through to noon on Friday, August 31 will be focused on trail race directors. Experienced race directors, such as Tia Bodington (Miwok 100K), Samantha Pruitt (Race SLO), Paul Gigliotti (Pirate Perry Events), Jim Harman (previously EX2 Adventures) and Aaron Saft (Foot RX running) will take part in expert panels, and round table discussions. Industry experts including Keith Peters (Council for Responsible Sport) will also take part in presentations and problem-solving sessions with attendee trail race directors. In 2017, more than 55 trail race directors representing 20 states, Canada and the Azores attended, serving more than 100,000 runners. Organizers expect a two-fold increase in trail race directors for the 2018 event achieved through a targeted marketing campaign on selected social media channels as well as providing an enhanced program schedule. Sponsors will realize deeper activation, increased social media exposure, and benefit from additional sponsorship options for this year’s event. Exhibitors will also experience an upgrade in their participation from additional attendees and social media exposure. Trail runners will learn tips and techniques from national-class athletes, engage in a hands-on running form workshop, and experience a top-notch expo with a wide variety of gear, products and services to keep them mobile, healthy, motivated, nutritionally satisfied and hydrated. Runners have the option to register at a discounted rate for the SLO Ultra that takes place on Saturday, September 1, when they register for the Conference. Runners can choose from 50 mile, marathon, half marathon or 5K distances. Exhibitors also have the option to increase exposure for their goods and services by taking part in the Race SLO Festival with live bluegrass music and food on Saturday, September 1, and Sunday, September 2. Registration is open for all trail race directors, trail runners, sponsors, and exhibitors. See details at this link. 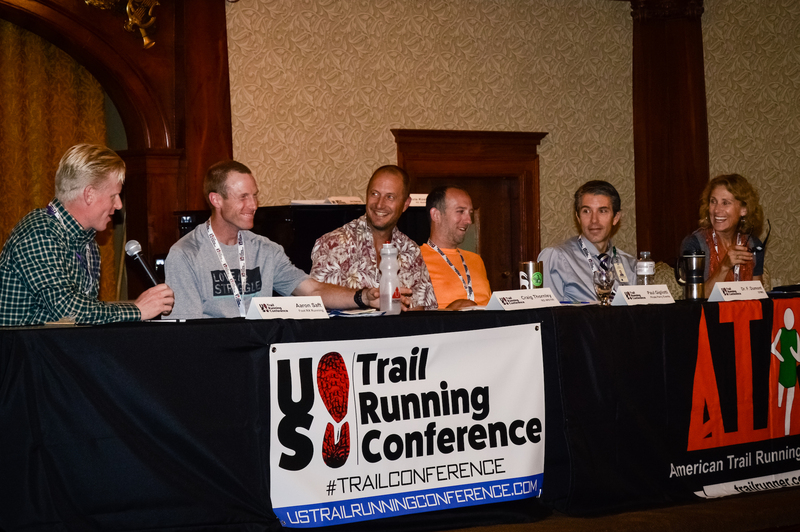 For more information, contact Event Director, Terry Chiplin, terry@ustrailrunningconference.com, or 303-304-9159. This entry was posted in active at altitude, atra, race roster, race slo, san luis obispo, slo ultra, trail race directors, trail running, trail running conference and tagged active at altitude, atra, nancy hobbs, race directors, race roster, race slo, sam pruitt, san luis obispo, slo ultra, terry chiplin, trail running, trailconference. Bookmark the permalink.